Every fan will agree that the Harry Potter series has no shortage of great, good and evil characters, and everything in between. Harry’s story is an epic one, and has no shortage of exciting personalities… But there are also plenty secondary characters that more than them deserve their own book or story. There are the obvious choices like Hermione Granger, Severus Snape and others that already play a fairly big role in the story…and sure we would love it if JK Rowling told us more about them, however, there are several more great witches and wizards whose great deeds are only mentioned in passing. I’m sure fans would rejoice about getting to read about any of these people! 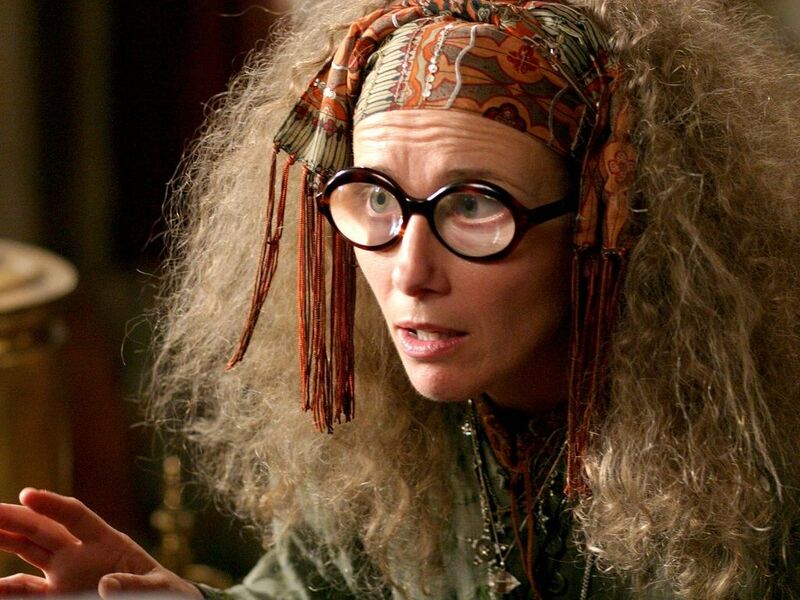 Nobody really takes Sybille Trelawney seriously, what with her skittish demeanour, fatalist prophecies, and all around behaviour. While related to a famous psychic even Dumbledore didn’t really have all that much faith in her abilities until he himself had a vision – and as it turns out, her prediction is what drives Voldemort’s actions for half his life. The story of how she became who she is (Can you imagine a teenage Professor Trelawney? ), what happened when she spoke the prophecy…or even the tale of the other prophecies in the ministry would be exciting to read. Sure, not all of the prophecies there are from the Professor, but after she made Harry’s, she must have made a few more. So what about those? The potential for more stories here is nearly endless. Bathilda Bagshot, author. In the Harry Potter world, that alone is nearly enough to warrant a stand-alone story. An old friend of Dumbledore, she also wrote the book that Hogwarts uses to teach the history of magic – oh and as if that isn’t enough, she is also related to Gellert Grindelwald, Dumbledore’s former best friend and dark lord before Voldemort’s rise to power. Hermione also suggests that she once taught at Hogwarts, calling her Professor Bagshot. 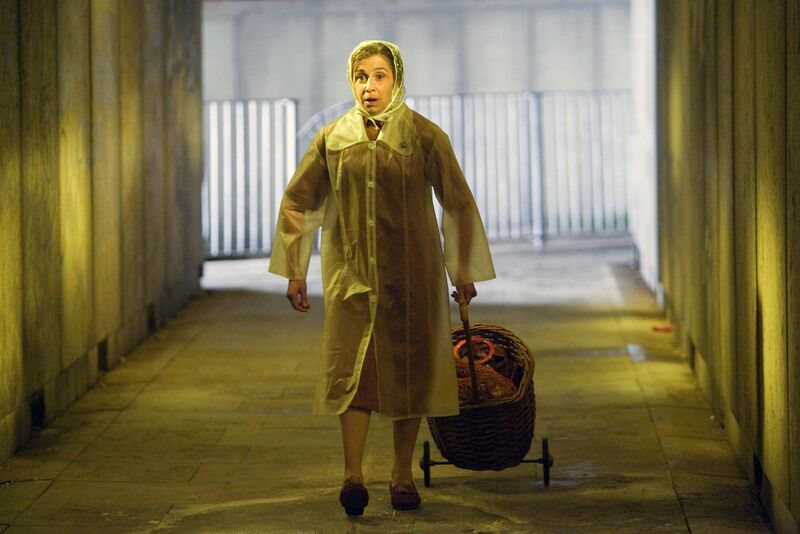 Given the shenanigans that go on at Hogwarts every year, I would imagine that there are more stories to tell from Bathilda. With her being an author, JK Rowling could even have her write her own memoirs. I’d certainly stand in line to learn more about this underrated witch. We do learn a fair bit about these four during the events of the Chamber of Secrets, but they are some of the most important figures in Wizarding Britain! Surely there was more to their story than what we have learned. Having founded the school in the 10th century, the friends had a falling out and Slytherin builds the all-important chamber underneath the school. But what sort of people were they? Sure, we know about their ‘defining’ traits, but there must have been more to them than that. Perhaps Helga was funny, or Godric was a prankster – given that the Weasleys are sorted into this house, this would be a lovely twist. Until JK Rowling writes their story, it is up to the fans to imagine what they and their lives were like. Who wouldn’t love to hear more about how it all happened though? The construction of the school, the friendship between these four and what happened before and after Hogwarts? How did it come about that they decided to even found a school? Perhaps this was just a hobby in the 10th century, but I and many fans would love to learn more about these iconic four. Harry lived next to Ms.Figg for almost his entire life, he knows her well enough, and yet her being a squib – a child without magic born to magical parents – comes as a complete surprise to him. In fact, Ms.Figg doesn’t seem too impressed with the proceedings that introduce her to the story of the Order of the Phoenix. Dumbledore asked her to keep an eye on Harry, no doubt due to her being a Squib, she was well-suited for this. The ministry does not have records on her as squibs are treated notoriously badly by the wizarding community. This does not seem to faze her too much. The story of how the unlikely friendship between Albus Dumbledore, one of the most powerful wizards of his time, and Arabella Figg, a squib, came about, would be well worth telling. We do know a little about her, but not enough. How did she become who she is? How did she end up affiliated with the order of the Phoenix? We know that she had been married and that she sells cats and kneazles. That and her great personality are just enough tid-bits to get us hoping for more! Regulus story is, at a glance, similar to that of Severus Snape. Enamoured with Voldemort’s plans and power, he becomes a Death Eater at a fairly young age. He later turns his back on him after Voldemort hurts someone he cares about. That is where the similarities end though. Unlike Snape whose beloved Lily was killed, Regulus disapproved of Voldemort abusing his house-elf, Kreacher. The Blacks, unlike the Malfoys, treated their elves with respect and even a measure of kindness, so Kreacher, unlike Dobby was loyal to his original family. Regulus disapproved of the way the Dark Lord used him to get to the locket, and so, with Kreacher’s help, managed to eventually facilitate his downfall. Thanks to the note left by Regulus we learn a fair bit about what happened after he turned his back to Voldemort. Yet, I can’t help but think that there is far more to his adventures than that. Starting out as the favoured son of a very old and well-respected family, joining the Death Eaters, and eventually becoming a hero that, posthumously, gives the Golden Trio a way to destroy the other Horcruxes and subsequently, win the war. That seems enough to fill a stand-alone book or two! Let us know.. which Wizards in Harry Potter do you think deserve their own story? ?